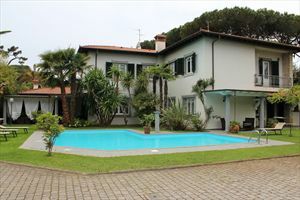 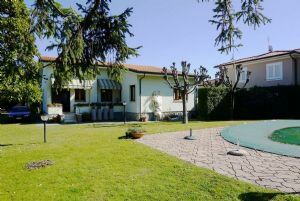 A charming detached villa (240 m2) with a small garden (about 500 m2) situated in a quiet, green area of Forte dei Marmi (Vittoria Apuana), about 300 meters from the sea. 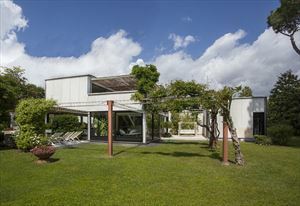 The villa has a large covered terrace with dining table, barbecue, outside shower. 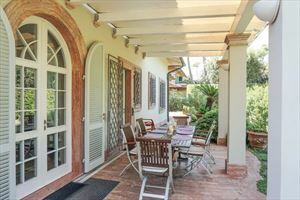 The ground floor comprises a living room, dining room, modern kitchen with an independent access to the terrace, guest bathroom, a bedroom with bunk beds for the staff. 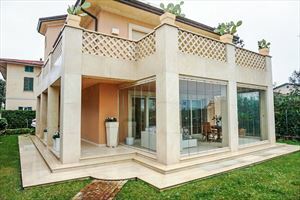 The upper floor consists of a double bedroom, bedroom with a queen-size bed, bedroom with twin beds, bathroom with shower and children’s bedroom with two bunk beds and a bathroom with shower. 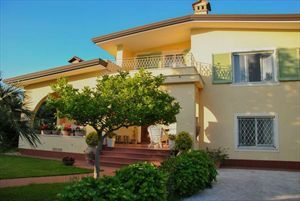 In the attic, there is a double bedroom, living room with sofa bed and a bathroom with shower. 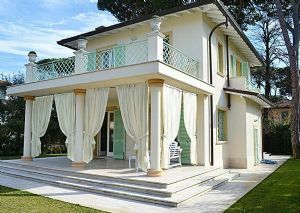 The villa is equipped with alarm system, air conditioning, mosquito nets.